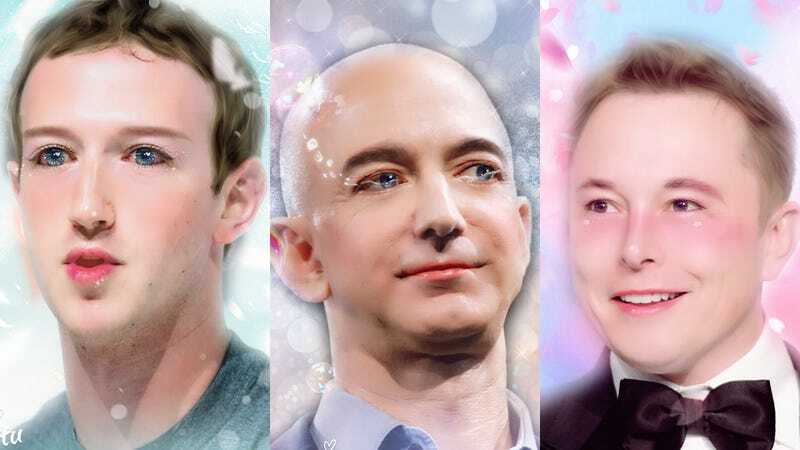 Last week, a Chinese photo-editing app called Meitu blessed the world with its “Hand-Drawn” feature, which allows users to transform anyone they’d like into a soft, rosy-cheeked sweetie. It’s the perfect tool to undermine your worst enemies, turning them into soft puddles of kawaii cuteness, or elevate your idols to a level of beauty previously unknown to mankind. Meitu gives you six themes to choose from—Angelic, Blossoms, Fairytale, Petals, Mermaid and Baronness. The possibilities are infinite, and more over, extremely fun. Meitu is available for iPhone or Android. Once you download the app, tap the “Hand-Drawn” button, and let the makeovers begin. Fair warning: The feature works much better on high-resolution photos, but presumably you already have plenty of senpai.